Having a fast and reliable website is essential in driving new customer traffic to your business. Always remember that your website is live/accessible 24/7, and thus it must be viewable at all times. It should be user-friendly, mobile compatible and present well. This ensures your business stands out from its competitors, ranking right next to your website. A fast and reliable website is a useful tool in converting new customers and representing a business professionally. Without this, you’ll be off the track of competing with other bigger and more reputable businesses. With mobile growth that’s increased in the past few years, it’s truly important to have a mobile friendly website. This way, you’ll be attracting a significantly larger amount of customers from mobile search traffic. Through Thought Media‘s Managed Web Hosting Solutions, you’ll be able to manage your business completely and leave the web design and hosting stuff to us! Web hosting companies such as GoDaddy, HostGator, JustHost, Host Papa and DotEasy are among the largest in the world, and as a result many share their datacenters with different organizations. As a result of having hundreds of thousands of customers, the quality of services has taken a hit! We here at Thought Media have noticed this over the years and have been forced to move clients away from these large hosts at their request. With typical shared web hosting from these larger companies, you can expect a single customer/business website to be sharing resources with hundreds or thousands of other businesses on the same web hosting server. Since you get shared resources, it means if there’s a virus or security issue present on the server it can potentially effect all websites.. if another website becomes malware/virus infected or compromised, then you may be effected as well. There’s several other concerns with shared resources… a large one being that you can expect slower loading times, and a higher risk of downtime. There’s a lot of benefits that can be obtained from having a website designed and hosted in the same place. Expect that there will be no delays in support, or confusions/complications between designers and web hosting. You will be provided with web design services that set your business apart from its competition, and rapid fast reliable web hosting to back it up! If you’re aiming for huge success with your online business, we highly recommend our (Client Only) Managed Web Hosting Solutions! 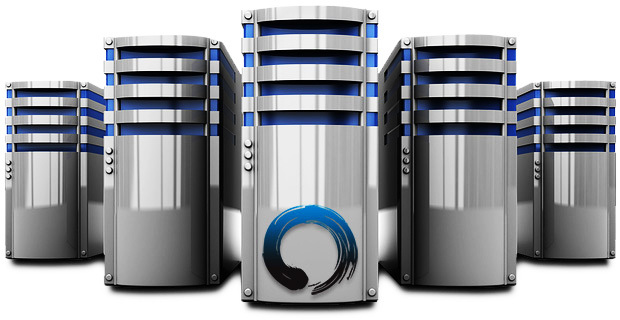 We don’t share or oversell resources, and offer our amazing web hosting services to Thought Media clients exclusively!